President and Vice-Chancellor, Dr. Robert Summerby-Murray, Hope Swinimer, Scott Armour McCrea and Board Chair Karen Oldfield, Q.C. Saint Mary’s University is granting the highest honour it can bestow, an honorary degree, to two innovative Nova Scotian leaders. · Hope Swinimer, a wildlife champion, animal advocate and rehabilitator. Learn more about Winter Convocation 2019. 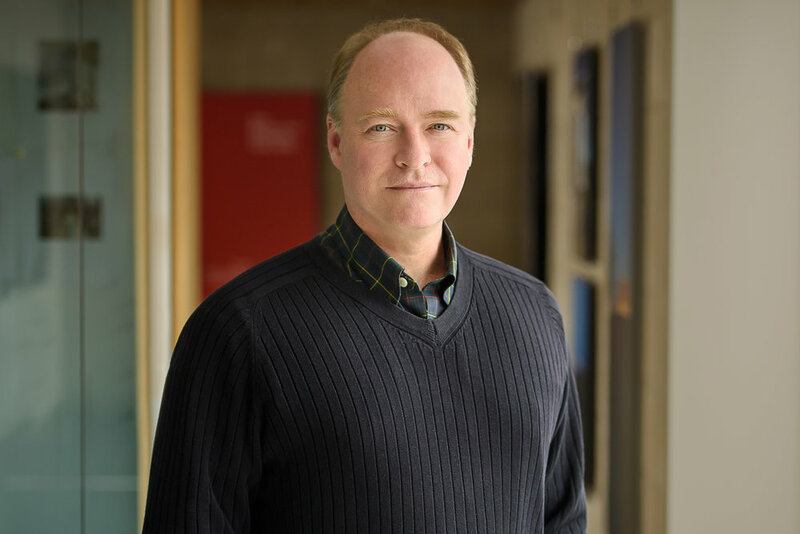 A life-long Haligonian, Mr. McCrea's deep-rooted understanding of the enduring impact of real estate development on communities comes naturally to him. He is the second generation to direct The Armour Group Limited, a family-held company whose roots in Halifax are anchored to the integration of the ownership, construction and management of their properties, which include many of the city's historic and traditional spaces. As the Chief Executive Officer of The Armour Group Limited, he leads one of Atlantic Canada’s largest fully integrated real estate and investment concerns. An essential part of his work is fostering community development. He wants his grandchildren to be able to see the positive impact that The Armour Group’s real estate developments have had on the region. Prior to August 2011, Mr. McCrea was Executive Vice-President of Cominar Real Estate Investment Trust (CUF.UN- TSX) and was the founding CEO of Overland Realty; a TSX-V corporation focused on Atlantic Canadian real estate opportunities. Overland Realty was subsequently acquired by Cominar REIT. Mr. McCrea’s 25 years of experience include the development and management of complex real estate projects in the commercial, residential, hospitality and tourism-related fields. He has successfully negotiated hundreds of millions in debt and equity placements and property acquisitions. His achievements include the development of the RBC Waterside Centre in downtown Halifax and the Queen’s Marque district on the Halifax waterfront, which will represent an almost $200 million private investment in the region with a target completion date in early 2020. 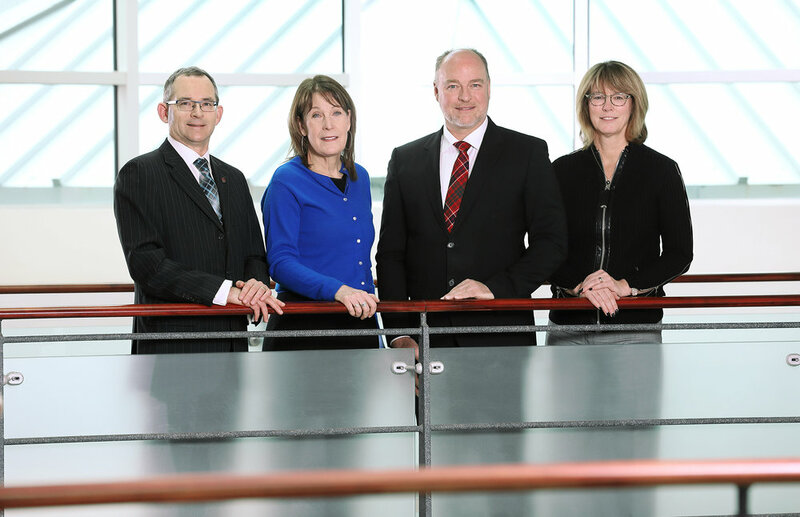 Mr. McCrea has been an active participant on various Boards and non-profit organizations within the community; most recently these have included Mount St. Vincent University, Royal Host Inc. and the Halifax Grammar School as co-chair of the Engaging Excellence Capital Campaign. His accomplishments have led him to be the recipient of several awards including Canada’s Top 40 under 40, Halifax’s Business Person of the Year (2006), and one of Atlantic Canada’s Top 50 CEOs. Mr. McCrea is a graduate of the University of Western Ontario and the University of Toronto, where he studied business and economics. Born and raised in Argyle, Nova Scotia, Hope Swinimer spent most of her time outdoors as a child enjoying everything the natural world had to offer. She knew that she wanted to work with nature in some capacity, and after missing life by the ocean terribly while attending college in Truro, she knew she needed to stay near the ocean. While working at Dartmouth Veterinary Hospital as a manager, Ms. Swinimer took in her first rehab animal in 1995—a robin that had been attacked by a cat. Researching how to care for the bird inspired her to learn more about injured wildlife, and as her knowledge grew, colleagues began sending wildlife-related calls her way. Later that year, she became certified in Basic Wildlife Rehabilitation from the International Wildlife Rehabilitation Association. Ms. Swinimer was offered an opportunity to work as a wildlife rehabilitator in Ontario but couldn’t leave behind the place she called home. With just a few cages in the backyard and a room in her house as a nursery, Ms. Swinimer rehabbed about 40 animals in her first year. By 1996, word of this grew, and the Department of Natural Resources (DNR) determined that a permit was required; however, such a permit did not exist in the province at that time. She worked with DNR to establish a licensing process (using the United States as a model), and in 1997, moved to Winnie’s Way in Seaforth where she received her rehabilitator permit. She considered Seaforth as the perfect place for animal rehabilitation. The Eastern Shore Wildlife Rescue and Rehabilitation Centre became the first privately owned wildlife rehabilitation centre in Nova Scotia, taking in about 200 animals per year. The centre was in such demand that it soon outgrew its property again, and in 2001, Ms. Swinimer relocated within Seaforth to “the farm,” which was a larger property that would accommodate the rehab’s immediate needs but also leave room to grow. Hope for Wildlife now accepts over 4500 wild animals per year, and over 20,000 callers are assisted through its wildlife helpline, thousands of visitors are also welcomed to its facilities for guided tours. In December of 2015, Hope for Wildlife moved into a new custom-built facility, which replaced the more than 100-year-old barn previously in use, and in the summer of 2017, opened their onsite Country Clinic which acts as a fully functioning wildlife hospital. In 2019, Hope for Wildlife will install 109 solar panels onsite to reduce their ecological footprint, lower electricity costs, and help move the farm from fossil fuels to green energy. 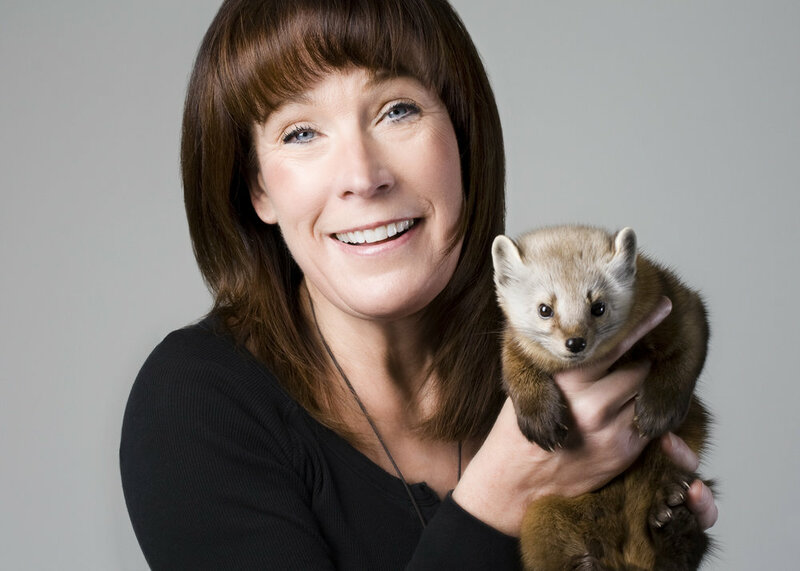 Ms. Swinimer and her team share their journey through their globally-syndicated television show that follows them as they nurse thousands of injured and orphaned wildlife back to health and return them to the wild.